Hope you had a super relaxy Easter. On Saturday the blondies and I went for a lovely browse at our local library. If you don't utilise your library, do make the effort and go. After all, it's where a chunk of your council tax goes! 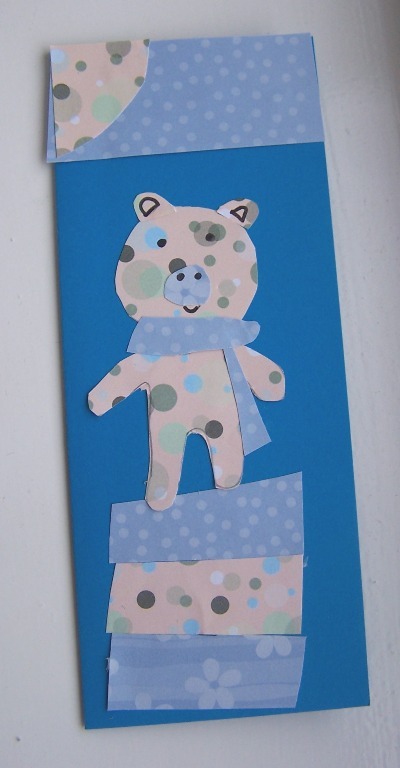 I daresay though, IF I ever managed to create one similar (! ), I should absolutely not allow anyone to tread anywhere near it!!! 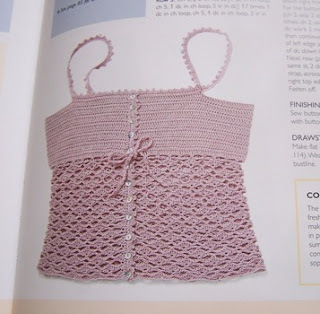 I so want to be able to make this top. I had a very similar Noa Noa one once and literally wore it to bits! 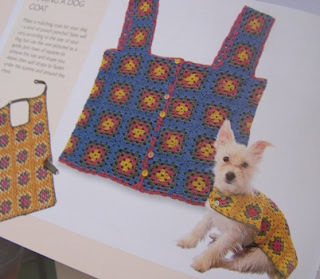 A granny square dog coat anyone?! Ha ha! I think handsome hubby would divorce me if I even threatened to make him that cardi!!! Quickie review for you - Love Happens is easy to watch and simply charming. The leading man doesn't do anything for me personally but Jennifer Aniston plays a slightly bohemian florist and is gorgeous. I really enjoyed it (one for the girls really) and recommend it. We couldn't watch it to the end, it was too completely and utterly banal. Have you ever seen it? I'm still crocheting madly (when I close my eyes to go to sleep at night, I am actually visualising the stitches - is that normal?). Lissy Lou, you asked if crochet was difficult. I say 'yes' but if you stick with it and keep practising something does actually 'click' and patterns suddenly start making sense! Do try it. Guess what I'm off to do now! I love that top - it's gorgeous!!! 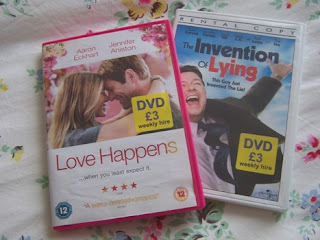 I watched Love Happens, I thought it was really boring!!! I was looking forward to the Ricky Gervais film too, but I don't think I'll bother now then!!! 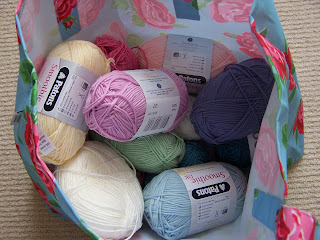 Lovely yarn!!!! If you want to watch a really pants film , Motherhood is a safe bet, what a pile of poo! 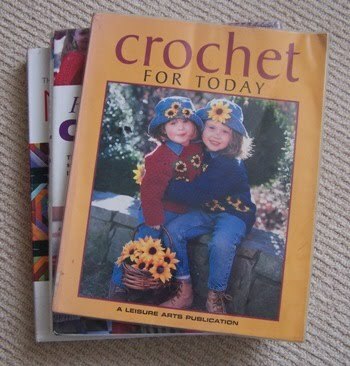 I need to get some crochet lessons - everyone seems to be learning at the moment. I have a hook so theres no excuse really. LOL at your pile of pants and your hunky man in the cardi. Blimey, your crochet is coming along a treat. I have only just realised you make jewellery. I am off to look at your site now. You clever thing. OO I think that man in that cardi may be too much for my tired little mind to cope with hehe. Although Diddy Dude is only 11 months old he loves the library. He even sits in the buggy and giggles when i take him from kids bit to adults bit?? Strange kid. 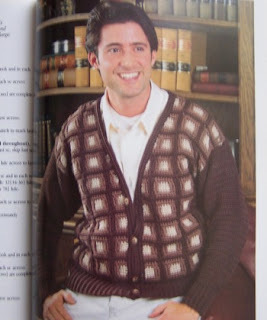 Nice patterns, I think I'll give the cardi a miss too! Thank you for the giggle, that piccy of the man with the cardi (I wonder how old he is now and is he still wearing that cardi) and the pant piccy made me laugh. 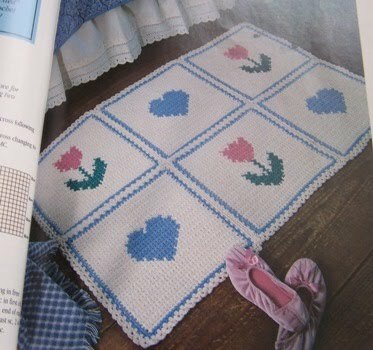 Hi hun...I love looking thro vintage patterns...although they may be old they still have some fab ideas! i make loads of the roses..they are fab for dressing up cardis and jackets. I love the library! It's like amazon without paying! 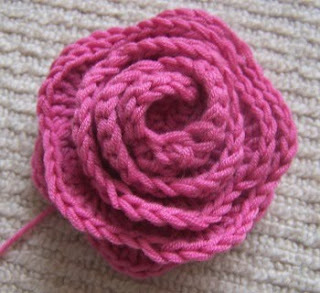 I wish I could crochet but I'm left handed and just can't get the hang of it! Your crochet is looking great - its funny how the penny suddenly drops, isn't it? I love my local library too - I can order books online from anywhere in the county. Just a shame they have to go back! Just thought I'd stop by to say hello! - Libraries are a wonderful free resource. I'm waiting for the penny to drop with my crochet - it's taking far too long! 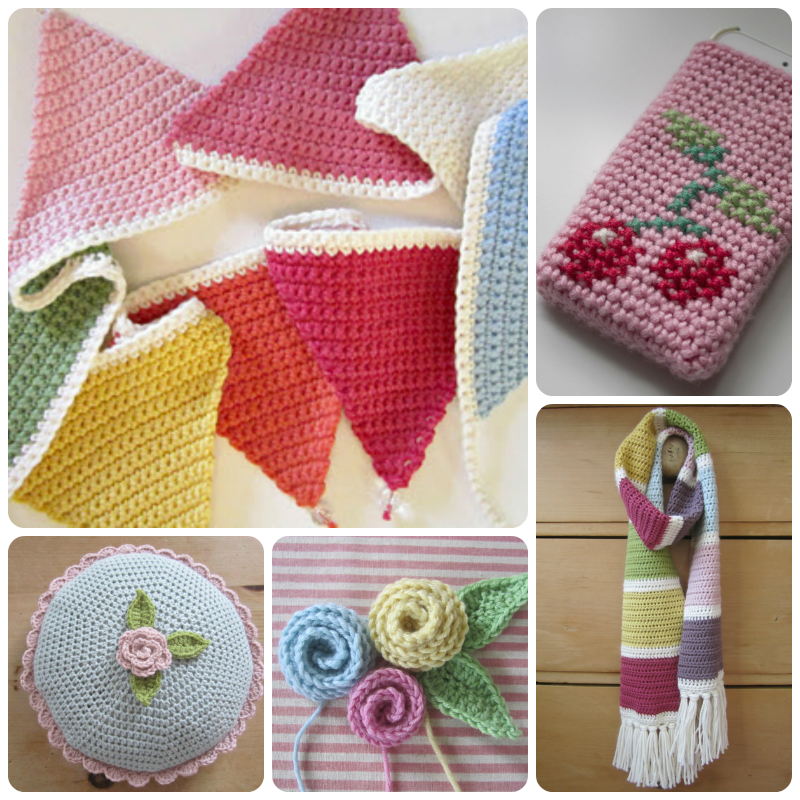 oooh crochet is so addictive isn't it?